So, it looks as though my plans to blog more often starting in October haven't really worked out. I've been thinking about my blog constantly this month, but putting words down on this little corner of the internet has started becoming increasingly harder. I think one of the reasons is because I'm a perfectionist - I want every post that goes out to be perfect, so sometimes I find it too difficult to click the 'publish' button in fear of letting myself down, and so I don't post anything at all. With the increase in so many fancy, professional-looking blogs with content updated regularly and fantastic opportunities left right and centre, I feel like I'm no contest in comparison, so why should I waste my time trying to make content, when it will never live up to the ever-climbing standards? Next February I will have been blogging for a tremendous six years, and when I look back at my blogging experience, aside from feeling incredibly proud of everything I've achieved, I also feel sad that I haven't really put my all into making my blog the best it can be. There are countless posts that I wish I'd written, videos I wish I'd recorded and uploaded to YouTube and even events I was invited to but turned down, through money issues or otherwise. I get jealous when I see bloggers who have only been doing this for one or two years are now incredibly successful, and I always ask myself why, if I've been doing it for this long, haven't I made my blog everything I wanted it to be? Well, I think I've finally got the answer. As much effort as I've put into my blog over the years, I don't think I've put in enough. Over the past year in particular, my blog has been left neglected thanks to finally having a full-time job I love and not finding the time to get posts photographed and written up, instead prioritising other things (like naps, Netflix and shopping trips) over actually growing this space on the internet and making it bigger and better. And so, I've decided that in order to not look back on my time blogging and regret all the things I didn't achieve or the progress I didn't make, I'm going to take my blog seriously and learn to prioritise it over things that really don't matter. I'm going to stop telling myself that 'one day' I'll be happy enough with a certain blog post to hit publish, 'one day' I'll be the right size to upload regular outfit posts, or 'one day' I'll have a better camera for making YouTube videos, so I may as well hold off until then... no. 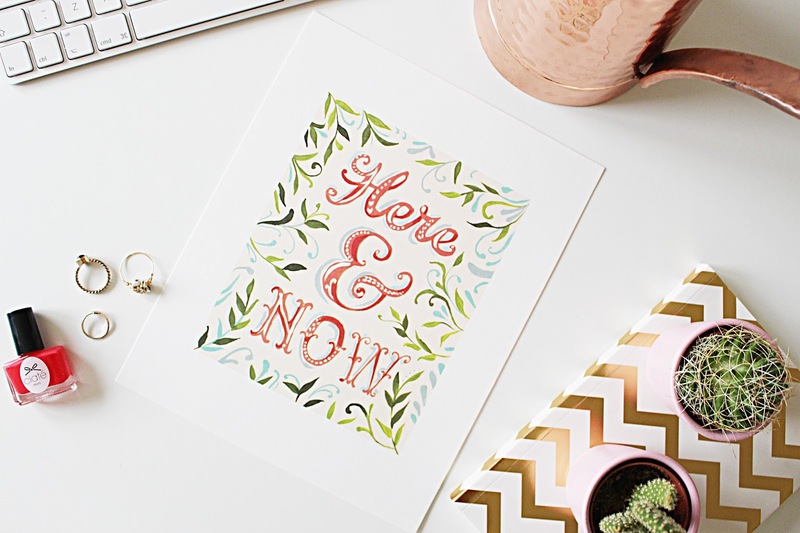 I need to remember to live in the here and now, and if I want to be happy, I need to put the effort in now - and who cares if that means not every post I write will be perfect? I've decided progress is always better than silly ideas about 'perfection'. So, expect to see a lot more from me from now on - I'm planning on having a complete redesign on the layout of my blog, as I'm sure it's been the same for about four years now, and with that I'll hopefully have more drive and motivation to keep my blog updated with fresh new content. I love blogging and I feel like my fears around never being 'good enough' for this new world of blogging need to stop - and I just need to keep doing what I love, no matter what.